Jasper will host Deshler in one of the better name matchups in the state of Alabama tomorrow night. A game originally scheduled for Thursday night, both schools agreed to move the game to Friday rather than dodging possible inclement weather. Regardless of the day, this game will be an absolute slugfest. 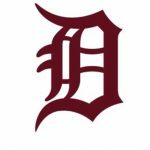 Deshler enters tomorrow’s contest with a record of 5-4 (due to a forfeiture because of an eligibility oversight with a student athlete), but an onfield record of 6-3. Coach Bo Culver and the Tigers will finish 3rd in 4A Region 8 and lost to Muscle Shoals to open the season at home 31-0, lost at Russellville 40-34 in 2OT, beat Elkmont 65-0 (A game, they would eventually forfeit), won on the road at Central Florence 35-21, beat Wilson 50-0, Colbert County 33-6, and Rogers 33-12, before losing to Brooks 48-7. Following an off week, The Tigers then beat West Limestone 27-0. Coach Bryan Moore and the Vikes enter tomorrow’s big out of region matchup as the 5A Region 7 Champions at 8-1 and winners of their last 8, with the only loss coming opening night of the season in a 28-27 final, on a last second Touchdown pass at Cullman. 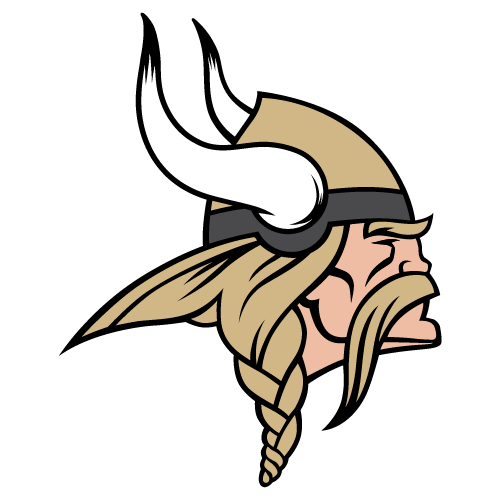 The Viking wins have come over Dora 26-13, Corner 35-20, Hayden 38-12, Central Clay County 10-7, West Point 54-20, Lawrence County 28-7, at home over Russellville 42-13, and on the road most recently, at Hamilton 35-21. Deshler’s strength is Defense, and they are very, very good. Giving up just 17.6 points per game, this group can get it done. They have big time players on each level, and they are physical and set the tone for their football team. The Safety, #1 Xavier Trotter, is a special player, and is very active in the back half of their defense. Linebackers #8 Arley Wallace and #9 Caleb Wisdom are very physical in the run game and will walk down and give them some help on the edges. Outside Linebacker #7 Gregory Champion, is long and rangy and will also walk down in some stand up end looks. #3 Andre Poe Jr, the Corner, is a legitimate cover corner guy, and #15 Teondre Goodloe , the Defensive lineman, is a handful when he gets going. Their defense against our offense will be one of the better matchups of the night as strengths play against strengths. Michael Crear and the Viking Offense must be patient against this defense as they have a knack for getting folks off the field. There will be 3 and outs. We will have possessions that struggle. The key will be weathering the storm and just doing what we do. There are enough weapons around to just keep plugging away and we will be okay. 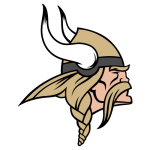 The receiving corps of Morrow, Bonner, Harris, and Waldrop are healthy and looking to make big plays through the air, while Kaden Shelton, Cam Lambert and the Viking O-Line would like to tote it about 40 times. Look for Reed Lum and Ben Bonner to make some plays as well from the Tight End and Fullback positions. Scoring 32.8 points per game, Crear and the Vikes will have tough sledding to get to that number this week, but one thing I’ve Learned is to never bet against Mike Crear, and OC Philip Bailey can get guys open. The Deshler Offense is scoring at a rate of 31.6 and their offense generally revolves around three key players, and they are good ones. #10 Kameron Pritchard, is the Running Back, and he has absolutely hammered people at times this year. He doesn’t necessarily have some of the top end speed that we have seen, but is a physical back, much like we saw out of Central Clay County. #5 Hayden Stutts, the Wide Reciever is also a good player that has made big plays for the Tigers this year. The player that really makes them go is #13, Channing Marmann, the Quarterback, who is a heady player, a 3 year starter who does not allow them to get in bad spots and keeps them on schedule offensively. These three cannot get going if the Vikes are looking to enjoy the home regular season finale, but if they can be limited, Coach McDaniel and the Viking Defense will be ecstatic. With a healthy EJ Colbert, The Viking Defense is finally healthy. Barring no last minute issues, the entire defense should be on the field together for one of the rare instances this season. Regardless of who has been in the defensive formations, first year defensive coordinator Will McDaniel has done a fantastic job, and has limited teams to just 15.7 points per game. The defensive line, led by Micah Woods is where it all starts for the Vikes, but the linebacking corps of Harrison Saunders, Tebo Rudolph, Connor Whitley, and Duray Ferris are very active. Ronnie Holiday does nothing but make plays at Corner, and Sheldrick Cherry and Kentavious Catlin are extremely physical in the back half. If the Viking D can hold the Tiger offense to our yearly average then the Vikings would definitely take that and turn it over to our offense to go score. Without knowing much about the Deshler special teams, I would have to give the advantage to the Vikes as Punter Grayson Diehl has done a nice job in his first year as a starter and Michael Herron continues to knock them through the uprights handling the placekicking duties. Tomorrow night should feel like football weather, and the game will have a playoff atmosphere with both teams looking to fine tune their games to make a postseason run. This one should be a treat for all in attendance as two perennial football powers do battle in the regular season finale. Don’t miss a minute of the action as gates will open at 5:30. Come early, and plan on staying late, It’s the Viking Way!